Difference between revisions of "Screenshots"
The Screenshots were made using 1280x1024 as screen resolution and scaled down for better viewing. Click the thumbnails to see the larger images. These Screenshots were made using 1280x1024 as screen resolution and scaled down for easier viewing on smaller screens. The main title splash screen and menu. 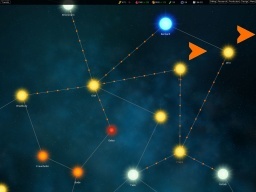 The galaxy map with sidepanel open, showing the planets in a system. 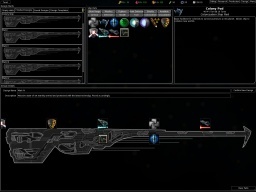 The production screen with queue and system sidepanel visible, where buildings and ships are ordered. Galaxy setup options available when starting a new game. 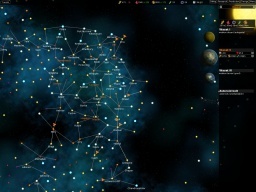 The research screen with queue and tech tree view.